Small businesses and bloggers are missing enormous opportunities that can be easily accessed by creating geographically targeted Twitter accounts and blog content. By adding a local component to your social media accounts and blog, or creating accounts specifically to reach a location based audience, your Twitter account becomes far more valuable – for you and others. Any business that operates in a limited geographic area will want to implement these tips as will all bloggers – whether you think this applies to what you are doing or not. Read on to find out WHY your geolocation is your strongest niche. Small businesses probably already realize that a Twitter account with followers scattered around the world is unlikely to increase their local leads or sales. They will understand why the people they most want to reach are their neighbors who could be interested in their products or services. on your blog or pay you for blog outreach services. Bloggers frequently tell me they do not want to “limit” their audience to a specific location and I spend a lot of time explaining to them why adding geo-targeted information to their blog positions them where the money is and will get them more recommendations. BECAUSE IT IS UNIQUE and provides value. Adding a local component to your existing blogs or Twitter accounts OR creating a Twitter account or blog specifically for a particular geographic location is not difficult. 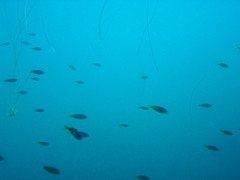 Are you a tiny fish lost in a HUGE ocean? WHY should anyone recommend you? 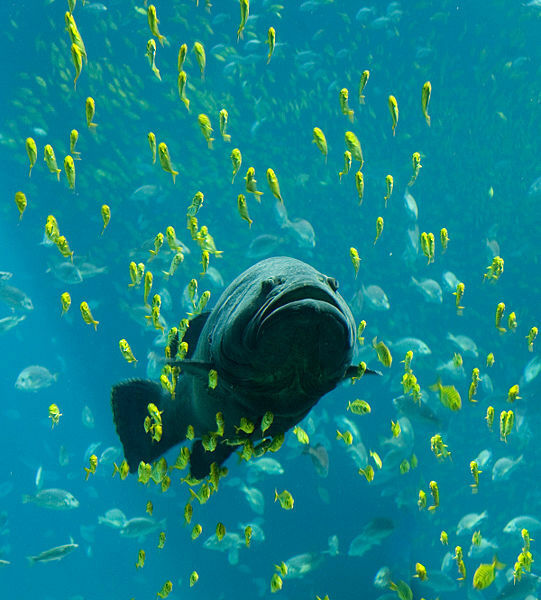 Decide to become a HUGE fish in your Local Small Pond and provide content on your blog and on Twitter that is interesting and useful to that local audience you give them an excellent reason to share what you are doing with others. Go out of your way to create content of local interest and connect with people interested in what is happening locally. With a much more targeted audience. Claim a Twitter username that includes your location. Consider common abbreviations and local nicknames. You must use a different email address for each Twitter account. You can get a free email address from mail.yahoo.com and many other sites. Add an Avatar image related to your location and write a bio specifically about that city, metro, state or country. Create a blog page about your new location and link to it from your Twitter account and make sure your Twitter username is easy to locate on that page and on your blog or site. 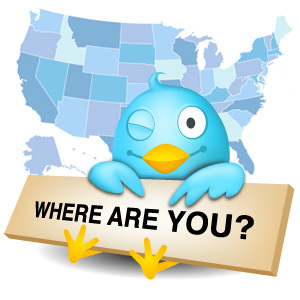 Follow Twitter users in your desired location (see tools below for how to find them). Find interesting content about what’s happening, live events, local entertainment, or even the local news and weather and use Twitterfeed or something similar to feed useful information to your local followers. Manually share additional tweets of interest locally. Interact with others in your target location. bloggers and small business with Twitter retweets. to be considered by our special projects and private forum. When writing about your usual niche add specific information useful to your local readers at the end. For example, if you’re a deals blogger add a few local deals at the end of your regular posts. Write some posts specifically for your local readers. To continue with our deals example, if your blog has lots of deals content it won’t hurt to write a few posts about deals that are only available locally. Put those in a separate category. Create categories for your geographic niche. When you include local info at the end of posts about your usual topics put those in the usual category AND the geo-targeted category. If a post is ONLY of interest locally, put it in the geo-targeted category only. Use local businesses as examples in posts about your usual topics. Write featured reviews, interviews, and human interest posts about topics of interest to your local audience. Your national or international readers are likely to consider these interesting for the same reason travel blogs are so popular. Those that don’t can skip over them because you’re putting them in a separate category. Offer a separate RSS feed for you geo-targeted category so non-local readers can opt out if they wish. I will research and add a post on how to do this as soon as time allows. Use these tips from professional copywriter Donna Anderson (@SheWritesALot) on writing compelling local content and read about or join our local blogging collaborations. Information in the Twitter profile. Profiles completed on third party sites. By pulling data from additional sources. Our Twitter Best Practices post on How To Use Twitter Effectively. Advanced Twitter Search ~ Type the location you are interested in into the Places /near this place field and select the number of miles around you want to search. Many of the results returned will be from Twitter users in that location. For large metro areas like Dallas Ft. Worth I use 50 miles. For small locations you may want to reduce that and if you are targeting an entire state you would select a city near the center of the state and select the number of miles it is from that city to the state boundary lines. FollowerWonk ~ Includes an option to search your followers by location. Use this when you create Twitter account(s) for specific locations so you can follow those you already have relationships with in an existing Twitter account. WeFollow by City ~ Search for Twitter user by city; choose results ranked by most followers or most influential. TwellowHood ~ Simple tool to use – just type in a location to find Twitter users who mention that location in their Twitter profiles. Results are ranked by number of Twitter followers by default. While you may find disabled accounts Twellow is a good way to locate blogs, businesses and individuals by niche, interests, or location. TweetGrader ~ Twitter Elite by Top City – lists of the top 50 Twitter users for a given city, but although their blurb says the lists are ranked by number of followers that is clearly not true now. Exact criterion for ranking unknown. If you know how they are ranking, leave details and/or relevant links in the comments of this post and I will update this section. Twitaholic – while not intended for the purpose, you can find someone in the location you are interested in on Twitaholic, click on the location link, and you will get the top Twitter users for that location ranked by the number of followers they have. ChirpCity ~Find out what Twitter users in a city are tweeting OR what tweeters around the world are saying about a location. Searches by keyword so all results will not be what you’re seeking. Local Tweeps~ Looked like a good idea: Register a location for your Twitter account, then log into the site to follow other Twitter users in that location directly on the Local Tweeps site. Unfortunately I was not able to get logged in and none of the four people listed on their about page has tweeted since at least Nov 15 or between Nov 15-Nov 22, 2011. NearbyTweets ~ I was unable to get this tool to pick up my location because I recently tweeted about New York and clicking preferences in FireFox and Chrome did nothing. If there is a way to manually enter your location I haven’t found it yet. If you are able to get this to work for you, please leave a comment with details. TwitterLocal.net – Adobe Air based tool that has to be downloaded to be used. Tweetup Meetup Groups – Use this Tweetup link to search for Twitter Meetups around the world. After I had come across so many Twitter apps that used to have local features that are no longer available I added this section so that I and others will not be looking for them. or use our contact tab. Relevant links always welcome. Using local events in our latest blog post is a great idea. I can’t believe we hadn’t thought of yet! Thanks for the overwhelming list of resources! It might take me a while to read through all the links but i’m definitely going to look into them for more ideas. You’re welcome, Kelsey. I encourage everyone – even online businesses – to grow their local audiences. This is a unique thought process. This will definitely work for local businesses as it will focus all our twitter activities and promotions. Eventually I got mostly 100 to 50 hits per hour.But after joining Twitter and Stumble Upon we got almost 500 to 1000 hit per hour that’s a great source to drive traffic. Twitter plate form is famous from the start. You can easily start some business. Whatever it is blogging or marketing yo need only famous you name or your business product. Thanks for nice article and a great idea in gaining highly qualified traffic. I will keep this tips in mind. Twitter is great and although i understand the concept of geo targeting that you’re talking about, my humble opinion is to not be so focussed that you fail to recognize bigger and broader opportunities. I assure you that for most bloggers and businesses there ARE NO bigger and broader opportunities. You can be one of 1000s or tens of thousands of sites or you can be “THE” site (or one of the top five or ten) for a particular niche and location. Which way do you think more people will recommend you? That’s why most people use Twitter for their business and online marketing. Twitter provides more sophisticated approaches that meets online marketing requirements. Providing hyper local info to your Twitter posts can really help grow your business. Whether you are a local writer and reporter or you are a small local business owner, this is a great idea. Really, Twitter has helped me to attract more customers to my e-commerce. Not only Twitter but other social networks. I like Lambda GeoIP for geotargeting my pages (requires a small amount of programming in PHP, nothing too hard). Liked this post, I think smart geo-targeting is a great way to focus in on users. Thankx for this great info, I must appreciate this. It will soon a beneficial core for social networkers. Exactly what i was looking for my wedding organizer local business. thanks, good resource. What Twitter is also good for is, every morning, to check the latest tech or market news, I’m following some geeks, opinion leaders who give me the fastests & best insights. So Twitter is not only a super interaction tool, Geo tool, but also a substantial news portal to get the exact news you & your business want. Very informatiove post! But I really doubt that Twitter can increase popularity of the blog if blog itself is not interesting and doesn’t share info. But as an additional tool it may help, of course. Being a big fish in small pond is always an advantage. It gives you a better position to market yourself and prove what you can do to your target customers. Thanks for this comprehensive post. This is a great post. Very often small local business use their websites as shop windows. They dont have e-commerce platforms, rather they want to attract people to physically visit their business premises. Because of this geo targeting is really important to these types of business. geo targeting can not be applied to every niche i think.well am not too sure about that.for instance i am thinking if geo-targeting can work well with a fat loss exercise niche? Targetting local Twitter users can really help a business. I have a friend with a small cup cake business and over 2000 local followers from our city and this is her main promotional channel now. Sometimes we are so focused on our global target and forget to take care of our local customers. Thanks for sharing these tips and cool tools such as mashable local tweets. I never wanted to register with Twitter before.. But after reading a lot of good things about it, I finally decided to try, unfortunately, I still have a lot to learn about it. Interesting post for those who are focused on or even have a local audience. I think to maybe put this into context there would be a SEO or social media guy would go to a new client who say specializes in a small bakery obviously their main target is extremely local so thats where these tools would come in. Twitting and sharing is most common in SEM it’s like a backbone for internet marketing But I don’t think its good for SERP point of view?Is it helpful for making backlinks. Thanks for these tips but to be honest I think this is mostly helpful for people who actually have the possibility of separating their audience geographically. I mean your local audience must be substantial enough for that. TweetHood is the best example of what localizing your tweets/blogs should be, although the point is to get more followers, not to follow another people, But thats a good start to interact with your neighbors, and business neighbors. This is a great start for an entrepreneur. I think Twitter would be a valuable social networking site for small businesses plus your tips are very wise to do. Thanks for sharing this information. Keep it up! Nice article bro very informative and inspired. There are many chance for making money from twitter. rather i would still like to adopt facebook when compared with twitter. the audience reach in facebook can go upto school,college and community, likes and interest. my some of the clients got unexpected results from facebook that they never got from adword in past. need to review twitter. Very interesting. The point about people not wanting to “limit” their audience rings very true, and it’s something I hear time and time again. The internet is a big place and it’s very, very easy to get lost in all the noise. That’s why this is such good advice. I’m sure geographically target Twitter to be very effective. I’ve tried to build a Twitter following, globally, and it’s very very difficult, believe me. Had to think how to convert all of this to a local following, more ideas anyway to study, so thanks for the very good post! Thanks for sharing these tools with us! Twitaholic sounds like a really useful one to use. I am just entering into tweeting, at right I found this, nice tips, very much helpful for me to go further. Thanks for this big and informative post. This is really valuable information for people that are locally growing their business and this is something that they will have to investigate in order to make their business grow even more. Great tips! What if there is no target audience in my desired location. I recently read some statistics that says 92% of online users are aware of twitter but only 8% actually use twitter. That’s pretty disappointing and I’m starting to believe it since most twitter users I’ve seen are boots or just people but only interested in promoting themselves and spamming all over the place. Very few people actually read twits daily without having a internet business themselves. The primary benefit to using Twitter is to connect with other bloggers, influencers, and small businesses that “get it” so that you can expand your reach and exchange knowledge. There are bloggers and influencers just about everywhere, but they may not all be on Twitter yet and many of them are just learning how to build blogging communities. It is up to those of us who have experience to assist them. Many people are still learning how to best use their blogs and social networks. The first step is for each person to decide where they stand ethically and then join the communities appropriate for their own goals. There is more information about how that works in my Blogging Ethics post. Thanks a lot for sharing this nice post!! !These things keep people from having personal face to face conversations.Before phones people actually visited each other,when everyone got their own phone,they just called and had phone conversations.Now they don’t even do that,they had rather text,which takes all emotion out any conversation,if you want to call it that.To me, Facebook,Myspace,& Twitter are the newest steps to emotionless chatter. I know that many people still feel they need to meet face to face. I’m not really sure why that is because personally I don’t need to see someone to know who they are, where their heart is, what they stand for and whether I want to collaborate with them or recommend them or not. Each method of communicating has pros and cons. For example, if someone is very busy or just doesn’t feel like talking, we can text them to give them important information without interrupting what they’re doing. I use Skype and Yahoo IM to be available to and keep in touch with other influencers. Chat is a fast, easy way to share quick requests or leave a message. Sometimes chat is all we need; other times it can be faster to use the telephone if we are discussing complex issues or have a lot to say or ask. Twitter is the best tool for connecting with influencers you don’t know yet and sharing certain kinds of info without having to be available at the same time as others. Although some people like them, Facebook and Google + don’t do much for me because they are too slow, unusable and seem intentionally designed to waste our time so we won’t accomplish as much. I do have interactions on both – sometimes very valuable discussions – but they aren’t my platforms of choice. Alth0ugh I have an account there, I never used MySpace. I much preferred blogs, StumbleUpon or even forums and used those instead of MySpace or some of the others sites that have come and gone. I have had friends all around the world since the mid-1990s that I met online. While some of them I did meet face to face years ago, most of my clients, collaborators and online friends and I have never met and I do not believe it likely that we ever will. I don’t even like video chat and intentionally do not have a camera on my PC. I will not have a camera or microphone on my computers that can be turned on remotely. I might use them only IF I can unplug them and they have on/off switches to physically disconnect them. If you can explain why you feel face-to-face communications are necessary – what you get out of that you can’t get on chat, phone or social networks I’d love to hear what (or anyone else) has to say on that. I am curious. Perhaps I have some unusual knack for knowing someone online that others haven’t developed yet? Great ideas. I have a business that is local and I’m new to twitter and was wondering how to search local. Steve would love you to read ..Lose weight during the Holidays? Thanks for the useful tips! Heard about local twitter for first time! I believe that targeting on the local area for more sales is also much important. Before some days I read on one blog that they are going to promote the local businesses by keeping a link on their site for free. I think this is also good. What a great idea to set up a separate rss feed for local vs. out of area visitors! I haven’t considered that and it would be perfect for our real estate blog. Thx. This is the best twitter local resource list and how to list I’ve seen. Great stuff! Hey! It’s been awhile since I commented on a post, but I’m getting back into blogging. This is an awesome post because local is where it’s at FOR SURE. That’s why all these big companies are trying to figure out how to capitalize on local. I switched my focus to local and it definitely was the right choice. I always see the benefits of targeting a local market. And I see the power of social media like Facebook and Twitter as well. But I haven’t given them a serious try yet. Maybe after reading your post, I will go and test things out. Again, very good advice. All the best! Good tips, though it’s a shame that Twitter doesn’t allow you to add actual geotag metadata to your feed in order to tag it properly.